One of my partners said he was going to be in Washington D. C. and had the audacity to suggest that I join him for a game at Nationals Park. What could I say? I’m a complete pushover, so of course I was there. The park is relatively new and looks larger than it is, with a seating capacity of just over 41,000. If you count the boxes, it has five levels, which I think is unique in the big leagues. 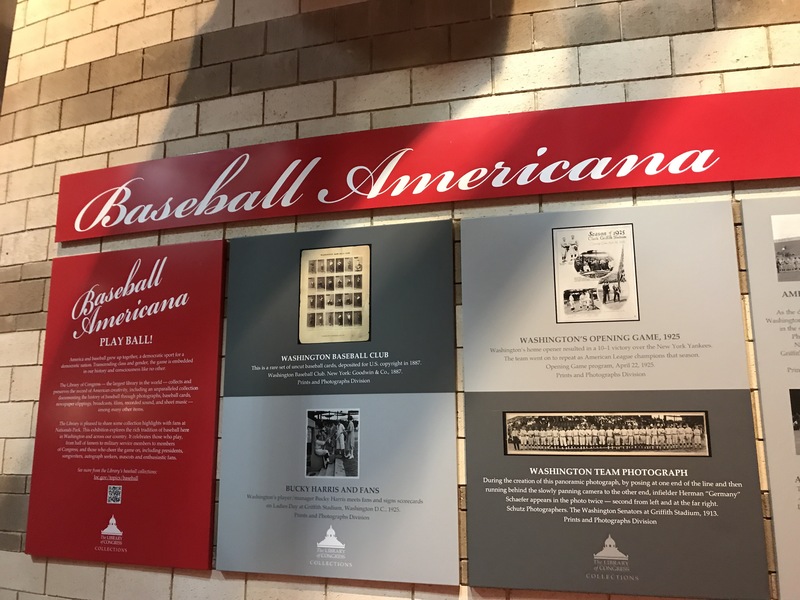 It also has some history because of the long string of presidents who have attended big league games in Washington. It also has a tapered screen, which I haven’t seen anywhere else, and they used a temporary screen along the foul line fences during BP, which was removed for the game. That’s a new one, too. 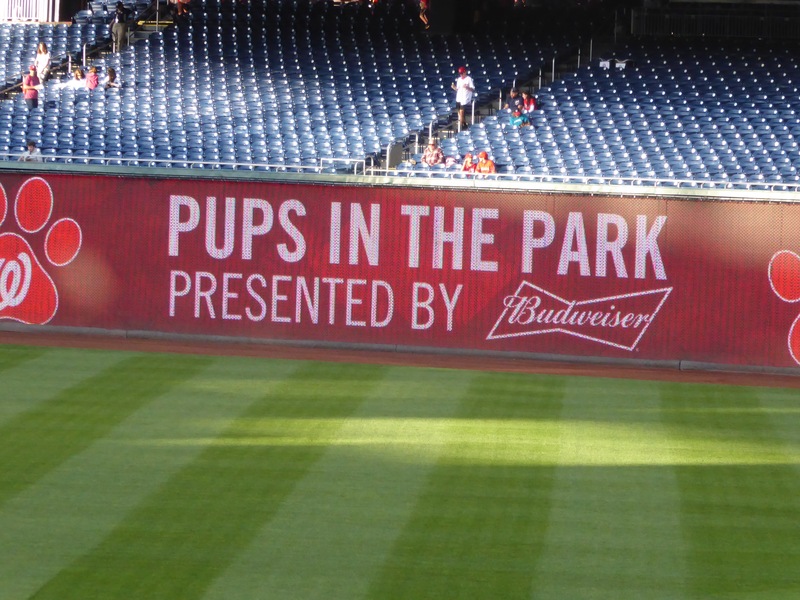 On this night, folks were invited to bring their dogs (as in canines) to the game. The rationale for this utterly escapes me, but it isn’t the first time I’ve seen it. What was new, however, was a couple of squares of real grass on the concourse to provide the pups a natural place to do their business. 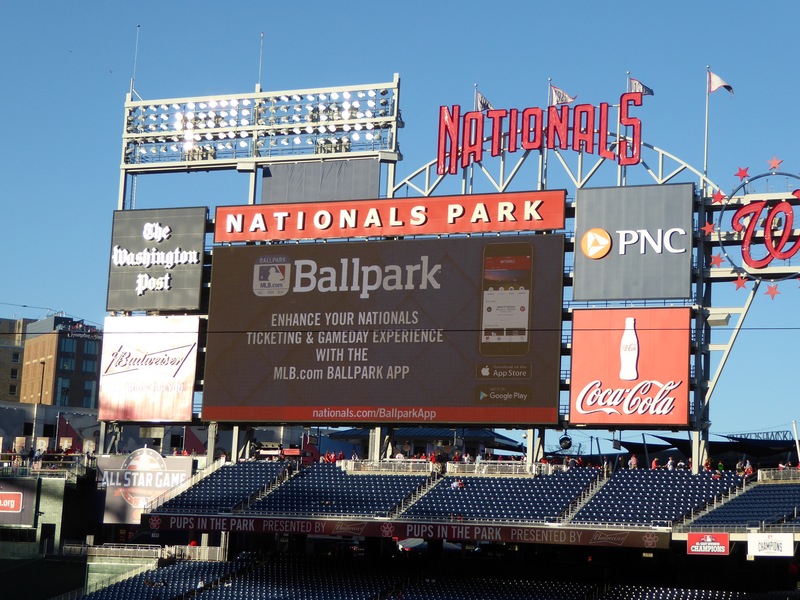 Think of the career opportunities – Washington Nationals pooper scooper intern! As usual, we arrived early to check out the place and sat in centerfield to watch the Phillies take BP. What we saw was remarkable and depressing. An old guy (mid-60’s at least) was there with his glove along with some (unrelated) kids. When one came our way, the old guy headed for it and used his glove to block a kid from getting to it. When the kid’s dad confronted him, he was completely unapologetic for his behavior, yelling at the dad that he had the same rights as the kids. I guess baseball has its dark side too. 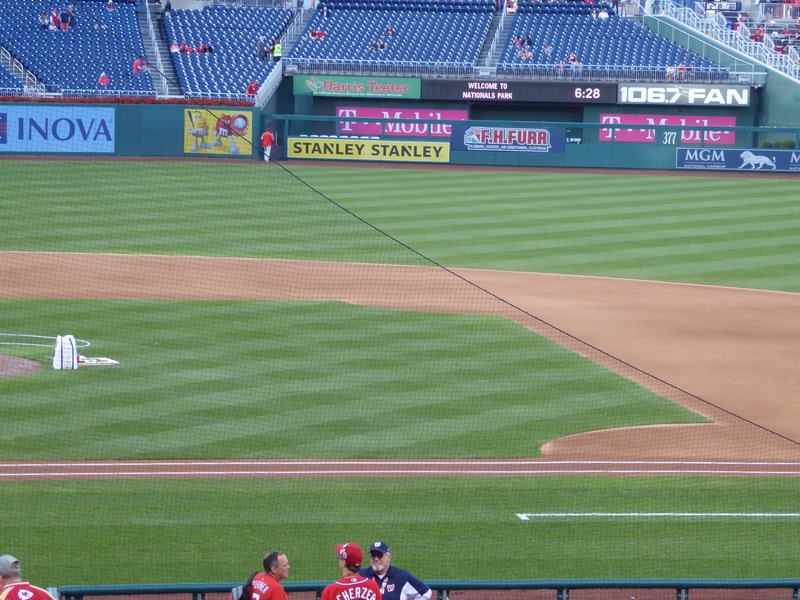 The Nats jumped to an early lead, but soon fell behind on a couple of homers. The Phils Tommy Joseph hit an extremely high pop up that looked to go foul down the left field line. But it didn’t. It also just managed to go over the left field fence. If the total distance traveled in the air could be measured, I’m sure it would have been one of the longest dingers ever hit. I certainly have never seen one that high actually leave the park. And of course the in-game diversions. 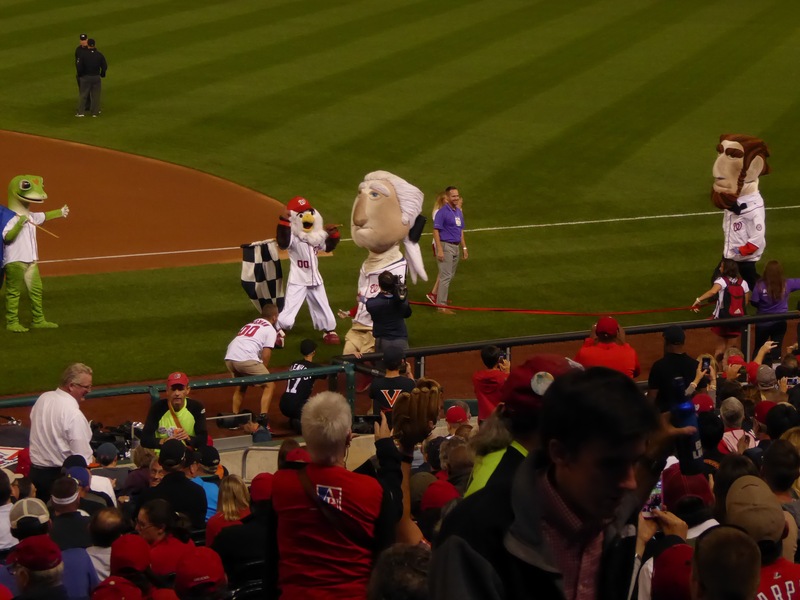 Here we had the presidents race, oddly enough won by our founder, and the city’s namesake, George. A good time was had by all and, in the end, the Nats rallied to take the game 4-3.